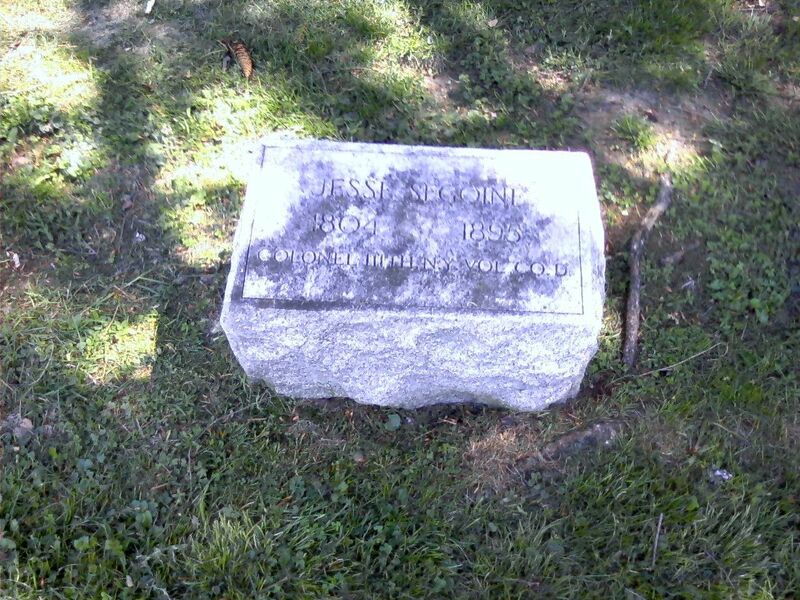 Jesse Sigoine was brought up in Brooklin NY where he became involved with the military at a young age. He moved to Auburn in 1836. A cabinet maker by trade he became associated with the firm of Parsons, Hewson and Company, which made furniture in Auburn Prison using contract labor. His association progressed to the point where the name of the firm was change to Parsons, Hewson and Segoine. With his interest in things military in 1840 he was instrumental in forming the original Auburn Guard. He was commissioned by Governor Sewad a Captain in that organization. Then in 1853, Governor Seymour bestoyed upon him the commission of Brigadier-General of the Militia. His business took him to Michigan where he assumed charge of a furniture manufacturing plant. while there he was commissioned as a Major-General with the Michigan Guard. 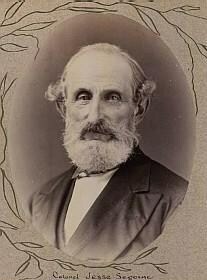 Jesse returned to Auburn prior to the outbreak of the Civil War. He put his efforts into raising enlistment for the Union, making "tree stump" speaches for the cause. His efforts were rewarded in the establishment of the 111th regiment, for which he was chose as the regimental Colonal. He stayed with and commanded this unit into the start of the war and was only forced into retirement. His advancing age and health was the culprate. Upon his return to Auburn from the front, he continued his efforts in support of the Union by making spreached and seeking additional enlistments. Jesse was held in the highest reguard by his men and the citizens of Auburn, before, during and after the war. Brig-General Jesse Sigone is buried in the family plot in the Fort Alleghan Section of Fort Hill.